Complete Production Cells to suit your business - available for a limited time on affordable weekly payments. For a limited time in 2019 only, Press-Form Machinery Ltd is offering multiple package deals to suit your business, with finance terms to suit your cash flow. **Subject to credit approval. Image for illustrative purposes only. The UK’s largest manufacturing event, the MACH Show, was held on the 9th-13th April 2018 at the NEC Birmingham, bringing together the entire industry for 5 days of discussion, networking and innovation, specifically focusing on engineering based manufacturing. Chosen amongst the show’s Top 40 Exhibitors, Press-Form Machinery showcased their specialist services to overwhelming acclaim. 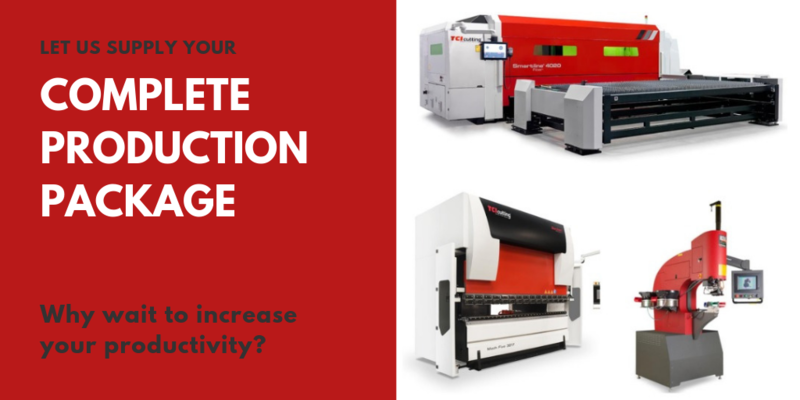 The company are delighted to be one of the UK’s chief providers of metal processing equipment, and can boast a wealth of machinery experience that spans over 25 years. Industry peers were noticeably impressed by the company’s range of customised and specialist machinery, which included: Hydraulic & power presses, sheet metal corner forming machines, hardware insertion machines, coil handling and process equipment, laser cutting services, turnkey product manufacturing systems and punching machines. Not only that, but they can also provide products from Gigant, Haeger, Dimeco, ACF, and Sangiacomo, such as the Sangiacomo Eccentric Mechanical Press. The company also managed to stand out by promoting their commitment to exceptional customer service, boasting support during and after purchase. 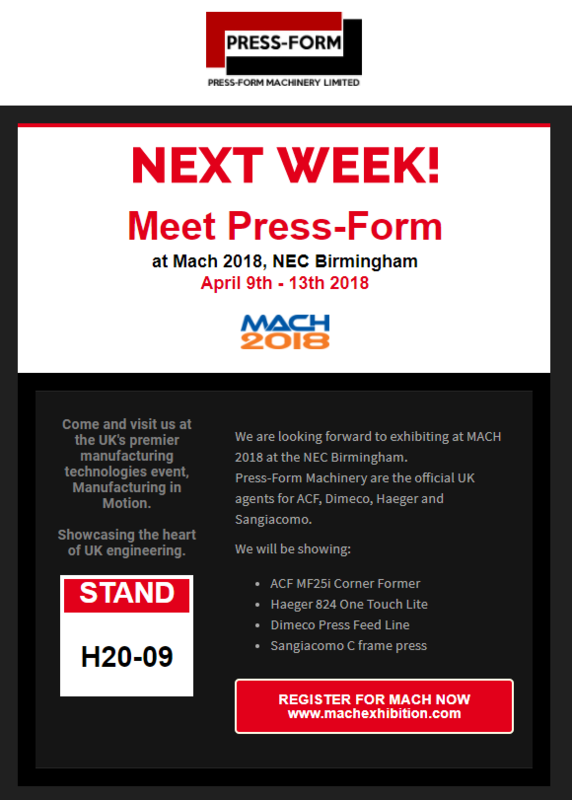 MACH 2018 is nearly here! 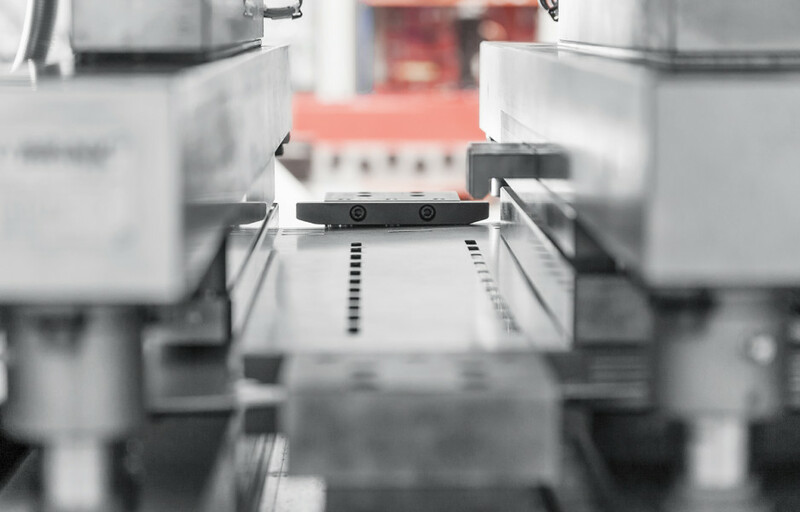 Press-Form can offer your company different solutions for cable tray manufacturing. As the only UK based agent for Dimeco, Press-Form can supply and install this type of coil processing line for many applications and products, and also offer nationwide servicing. If you are interested in viewing a working line, get in touch. 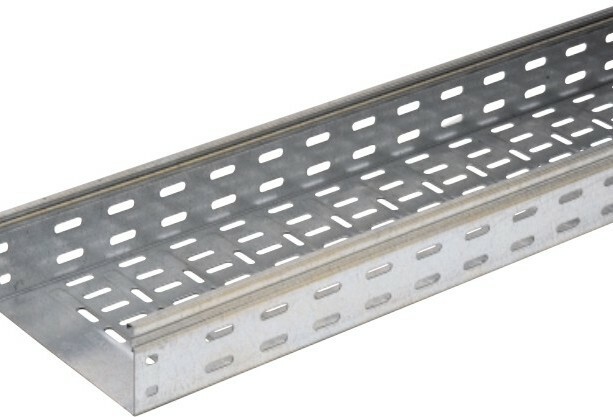 The perforated cable trays can be made in two heights: 50 & 100 mm. The trunkings exist in three heights: 50, 75 & 100mm. For the stainless steel, the maximum thickness is deliberately limited to 1.5 mm. The standard length of the products is 3 meters, but sometimes it might be higher, till 6 meters. The line will suit for cable trays from 50 to 600-mm wide and 50 & 100-mm high. The press feeding line and the press is wide enough to feed the coils for 600-mm cable trays. The rollforming machine will be designed in order to profile cable trays up to 900-mm wide.